Leicester City chairman and owner Vichai Srivaddhanaprabha was one of five people killed when his helicopter crashed outside the King Power Stadium on Saturday, the Premier League club have confirmed. The aircraft came down in a car park shortly after take-off at about 20:30 local time, around an hour after Leicester drew 1-1 with West Ham. Leicester confirmed on Sunday that none of the five individuals on board at the time of the crash survived. On Sunday, Leicestershire Police named the other four victims as Nursara Suknamai and Kaveporn Punpare, two members of Srivaddhanaprabha’s staff, pilot Eric Swaffer and passenger Izabela Roza Lechowicz, although they said formal identification was yet to take place. As a mark of respect, their EFL Cup match with Southampton, scheduled for Tuesday, has been postponed. In a statement, Leicester said: ‘It is with the deepest regret and a collective broken heart that we confirm our chairman, Vichai Srivaddhanaprabha, was among those to have tragically lost their lives on Saturday evening when a helicopter carrying him and four other people crashed outside King Power Stadium. None of the five people on-board survived. ‘The primary thoughts of everyone at the club are with the Srivaddhanaprabha family and the families of all those on-board at this time of unspeakable loss. ‘In Khun Vichai, the world has lost a great man. A man of kindness, of generosity and a man whose life was defined by the love he devoted to his family and those he so successfully led. Leicester City was a family under his leadership. It is a family that we will grieve his passing and maintain the pursuit of a vision for the club that is now his legacy. ‘A book of condolence, which will be shared with the Srivaddhanaprabha family, will be opened at King Power Stadium from 8am on Tuesday 30 October for supporters wishing to pay their respects. ‘Both Tuesday’s first team fixture against Southampton in the EFL Cup and the development squad fixture against Feyenoord in the Premier League International Cup have been postponed. 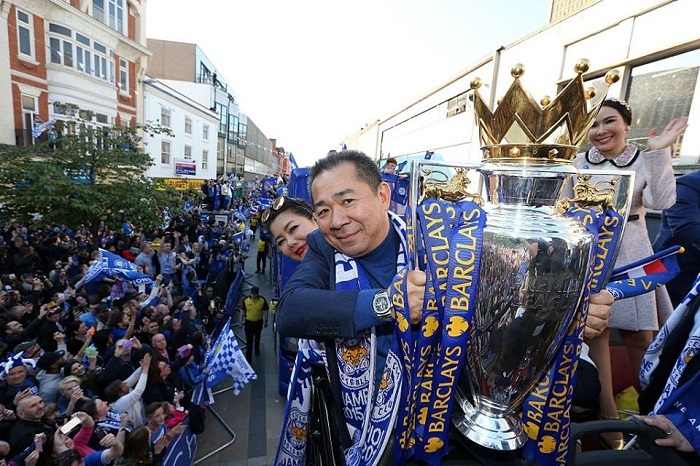 Earlier on Sunday, before news of Srivaddhanaprabha’s death was made public, dozens of fans gathered to lay floral tributes at the King Power Stadium, the ground that is now named after the duty-free shopping empire from which the 60-year-old made his fortune. He oversaw the Foxes’ remarkable Premier League triumph in 2015-16, when Claudio Ranieri’s 5000-1 outsiders stunned the footballing world. 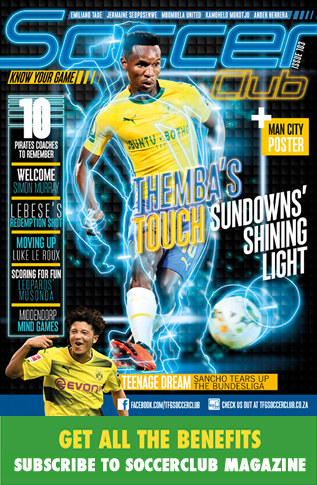 That unforgettable tale further secured Srivaddhanaprabha’s place in the hearts of Leicester supporters, who he had charmed with gestures such as providing free beers and hot dogs on his birthdays. According to Forbes, Srivaddhanaprabha’s personal fortune stands at $4.9billion – a figure that made him the fifth richest person in his native Thailand.